Both men's and women's hockey teams had finished fourth at the recently concluded Commonwealth Games in Gold Coast. Hockey India on Tuesday appointed Harendra Singh as the Chief Coach for the Indian Men’s Hockey Team – a position he takes over from Dutchman Sjoerd Marijne, who will return back to his responsibility as coach of the Indian Women’s Hockey Team. In their most recent outing, India men’s hockey team had a disappointing run at the Commonwealth Games in Gold Coast as the team finished without a medal losing to England in the bronze medal playoff match. By finishing fourth, India produced their worst showing at the Commonwealth Games since 2006. The women’s team, on the other hand, lost to Australia in the semifinals before being spanked 6-0 by England in the bronze medal match to also finish fourth. Some had questioned Marijne’s team selection for CWG and even preparadness for an event of such magnitude. “There were too many young players included for the CWG; that process should have been gradual. Also, since most of us did not play a tournament going before the Games, the lack of match practice was evident. All other teams, including Australia and England, sent full-strength teams for Azlan Shah while we were at the camp. So his planning wasn’t up to mark and that’s where his inexperience as coach showed,” a team member had said. Harendra, who led the Indian Junior Men’s Hockey team to the Junior World Cup title in 2016, was appointed as the Chief Coach of the Women’s Hockey team in September 2017. Prior to that, he had led the women’s team to their ninth Asia Cup title in Japan last year. Marijne, 44, had formed quite a formidable unit with the women’s team during his first stint. Under the Dutchman, the women’s team qualified for the Hockey World League Semi-Final. His first assignment back with the women’s side will be the 5th Women’s Asian Champions Trophy in Korea starting on May 13. “I’m excited to reunite with the Women’s team and will look to focus building on the good form exhibited by the team in last six months as we look forward to the Vitality Women’s Hockey World Cup 2018,” said Marijne. The men’s team had reassembled in Bangalore last week a fortnight after the Games in Gold Coast. 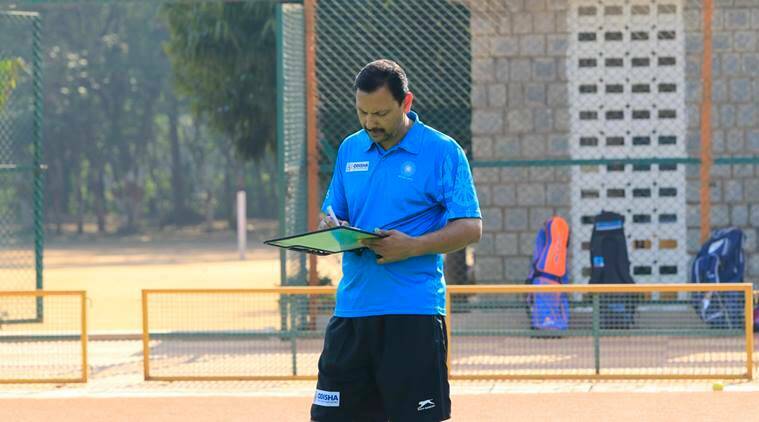 As the camp got underway at the SAI South Centre, Hockey India announced PR Sreejesh as India’s skipper up until the end of the year. The veteran keeper regained the responsibility from centre-half Manpreet Singh. Even as his future was being considered, Marijne was back home in Netherlands amid ‘visa issues’.